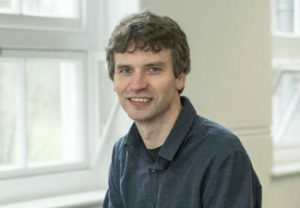 The Ethics and Political Philosophy Research Interest Group welcomes Jonathan Way, associate professor in philosophy at the University of Southampton. Professor Way’s areas of specialization are in ethics and epistemology, broadly construed. He is particularly interested in issues to do with reasons, rationality, value, and normativity, across practical and epistemic domains. Learn more about Jonathan Way on his personal webpage. According to fitting-attitudes accounts of value, evaluative properties are to be analysed in terms of what’s fitting to value – e.g. the admirable is what’s fitting to admire, the delightful is what’s fitting to delight in, the loathsome is what’s fitting to loathe. Such accounts raise the question of what it is to be fitting to value something. While some proponents of fitting-attitudes accounts analyse fittingness in terms of reasons, obligations, or permissibility, others have suggested that fittingness is a distinctive and unanalysable normative property. This paper defends this latter view. We proceed by noting three marks of fittingness: that incentives for attitudes do not bear on their fittingness, that fitting is stronger than permissibility but weaker than obligation, and that absences of attitudes cannot be fitting. We argue that these marks allow us to distinguish fittingness from other normative properties and cast doubt on the prospects of analysing fittingness in other normative terms. The upshot is support not only for fitting-attitude accounts of value but for fitting-attitude accounts of other normative properties too.